This is not a very good deal for the driver. After Uber's 20% cut, that's 72 cents/mile. According to AAA, a typical car costs about 60 cents/mile to operate, not including parking. (Some cars are a bit cheaper, including the Prius favoured by UberX drivers.) In any event, the UberX driver is not making much money on their car. The 18 cents/minute -- $10.80 per hour, drops to only $8.64/hour while driving. Not that much above minimum wage. And I'm not counting the time spent waiting and driving to and from rides, nor the miles, which is odd that the flag drop fee. There is a $1 "safe rides fee" that Uber pockets (they are being sued over that.) And there is a $4 minimum, which will hit you on rides of up to about 2.5 miles. So Uber drivers aren't getting paid that well -- not big news -- but a bigger thing is the comparison of this with private car ownership. As noted, private car ownership is typically around 60 cents/mile. The Uber ride then, is only 50% more per mile. You pay the driver a low rate to drive you, but in return, you get that back as free time in which you can work, or socialize on your phone, or relax and read or watch movies. For a large number of people who value their time much more than $10/hour, it's a no-brainer win. The average car trip for urbanites is 8.5 miles -- though that of course is biased up by long road trips that would never be done in something like Uber. I will make a guess and drop urban trips to 6. As UberX prices drop this much, we should start seeing people deliberately dropping cars for Uber, just as I have predicted for robocars. I forecast robotaxi service can be available for even less. 60 cents/mile with no cost for a driver and minimal flag drop or minimum fees. In other words, beating the cost of private car ownership and offering free time while riding. UberX is not as good as this, but for people of a certain income level who value their own time, it should already be beating the private car. We should definitely see 2 car families dropping down to 1 car plus digital rides. The longer trips can be well handled by services like Zipcar or even better, Car2Go or DriveNow which are one way. Another option that might make sense in car replacement is an electric scooter for trips under 2 miles, UberX like service for 2 to 30 miles, and car rental/carshare for trips over 30 miles. If we don't start seeing this happen, it might tell us that robocars may have a larger hurdle in getting people to give up a car for them than predicted. On the other hand, some people will actually much prefer the silence of a robocar to having to interact with a human driver -- sometimes you are not in the mood for it. In addition, Americans at least are not quite used to the idea of having a driver all the time. Even billionaires I know don't have a personal chauffeur, in spite of the obvious utility of it for people whose time is that valuable. On the other hand, having a robocar will not seem so ostentatious. "The surge pricing is a barrier. One easy solution would be for a company like Uber to make an offer: 'If you ride more than 4,000 miles/year with us, then no surge pricing for you.'" That's a bad deal for the drivers, though. Without surge pricing they'd stop driving for Uber. Unless they keep making the surge rates while the passenger only pays non-surge pricing and Uber makes up the difference to the driver. Fat chance of that, though. Oh, Uber would still have to pay the drivers the surge fee. What they would do is, for that customer riding so many miles (replacing their car with them) is subsidize their surge rides. Obviously they would need to work it out so that they didn't subsidize this too much. 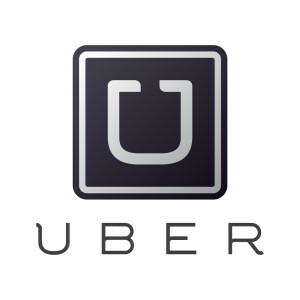 They might reduce the driver's rate a little for the loyal customer, though there is an issue because the customer has been loyal to Uber, not the driver. It is challenging, though. The loyal customer might actually pay a small amount more for regular rides as insurance against surge costs. Would people do it? Yes, in a certain income group -- the big value this group is getting is a chunk of free time returned to them each day, which is very valuable. The barrier is that people don't like unpredictability. They don't like going out and finding it's going to cost 2x or 3x to get back. Some people might tolerate that, others could pay a premium to insure against it. Of course, if Uber driving gets very popular (which it might not do at these rates) you don't need as much surge pricing. As noted above, UberPool is another solution to surge times. You might promise your loyal customers, "during surge, you can always get a ride for regular rates but you may have to uberpool." In general, pooling should be an excellent solution to surge demand. Uber is "not a charity"
Uber's history shows that they are always more willing to stick it to their drivers than to take a hit themselves, as they would do by subsidizing frequent riders. It's questionable whether they see the value in that amount of increased user loyalty, regardless. The fact that surge pricing is so high shows that they are willing to gouge riders when they feel it makes sense. They simply try to keep the top-end surge pricing low enough to keep people from seeking other alternatives. Then, if they're managing their capacity at a high percentage of utilization during surge hours, why would they need a frequent rider program, anyway? It would only be losing them money. Really, your perspective on this is reversed from Uber's. You're coming at it from the idea of getting people out of personally-owned vehicles. Uber doesn't have this motivation. They just want to optimize their revenue. The point where Uber's revenue optimization coincides with the idealist goal of having fewer personally-owned vehicles in the world (for various reasons including preparing them for self-driving auto taxis) is simply incidental. In fact, Uber *needs* a reasonable pool of personally-owned vehicles to draw upon to be their "fleet," so at some point reducing car ownership actually works at cross-purposes to Uber's business model. To get you to give up your car, or one of your cars, and switch almost all your travel that you used to do in that car to Uber. That would be a big win for them, and that's why they might reward loyalty. Volume discounts and loyalty rewards are not subsidies, they are marketing techniques. What Uber will care about is "how much money do we make off you as a customer" compared to "how much money they have to spend to get you as a customer and serve you and keep you." That's all any business cares about. So clearly Uber can't give a loyal customer discounted surge riding if surge riding is more than 10% of your trips. (They only get 20% of the revenue, so 10% would eat 50% of their revenue from you.) But they could readily handle it if it's 5% of your rides, or if the discount isn't a full discount-to-regular, or if it's a cap (No more than 150% surge on rides less than 15 miles). They would analyse the data and figure out what rules they can afford that would bring them the customers. I wonder if robotaxis will become considerably cheaper than manned vehicles because they are primarily urban vehicles which don't need to cater for the long journeys with large amounts of luggage. It would seem that a small 2, 3 or 4 seater electric vehicle, with limited range, low performance, and limited luggage space would be sufficient for most urban trips. With transport as a service provide by a fleet of vehiles there is the opportunity to match vehicle size to the common requirement rather than the greatest conceivable requirement. With low performance and lo range ccmes the opportunity to reduce battery size, motor, transmission, suspension, tyres, safety cells, and build for space utilization rather than aerodynamics. Do you have thoughts on whether this is likely, and if so, how cheap and simple can they get? Yes, I have forecast this for some time. They get cheaper many different ways. Being smaller and lighter for urban trips. In addition, you would engineer them to last more miles but fewer years to get the lowest cost per lifetime mile. Short urban trips could easily take place in a $5,000 vehicle which seats one and can't even go on the highway. Such a vehicle would use just a cent or two per mile for electricity, and if it lasted 250,000 miles just 2 cents/mile for deprecation. Add a full extra 2 cents for maintenance (tires, replacing seat covers and interior surfaces from time to time, repainting.) Add just 2 cents for insurance (instead of 6) Battery cost may add to this -- but we're talking close to 10 cents/mile. Much cheaper than transit trips, for example, which cost around $5/trip unsubsidized in the USA.